You must be finding it very irritating to deal with slow internet even after paying for fast internet. These days we all are using so many applications on our smartphones, tablets, and phablets that we tend to overuse them. You not only need a device that is a trendsetter but also a masterpiece of technology. We all love watching movies, song videos and different video clips on our portable device while traveling or when we do not have a computer with us. However this might not be possible all the time because your device does not support the file format or may be because the file size is too large. The solution would be to get an all in one media program like the Movavi Mac video converter. So if you are looking for a fast and easy to use music and movie converter that will not only let you open any video or audio file, convert them to a format of your choice but also modify them, then look no further. 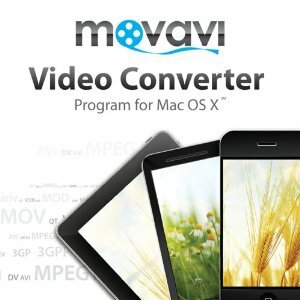 Movavi video converter has a very powerful encoding engine and permits you to have a SuperSpeed conversion in just a few seconds. You can convert multimedia files between most of the popular formats. DVD, MP4, FLV, OGV, WMV, MOV and conversion between many other media formats is possible. You can now watch the 4k ultra high definition videos, convert video clips from low quality standard definition files to high definition. You can also convert image files in the same software without any additional requirements. You can choose a format from a list of models for different mobile and portable devices, so that you can watch your movies and clips on them. You can convert media files on your Mac for playing them on iPhone, iPad, iPod, android mobile phones, tablets, Xbox, Sony PSP and many more. All the presets are customized according to the latest models that come out in the market. You must make full use of the handy video editing tools, that will let you make all the adjustments and alterations that is required in the clip. You can cut, merge, convert and do all that you want. There are parameters such as the brightness, contrast, and white balance levels that improve the video quality. You can give a personal look and touch to the video by adding captions, titles and laying watermarks to complete your video.